Mill rotary screen is able to remove broken steel balls. And it can effectively control the ore particle size for next grinding use and return middle-sized particles to regrinding drum screen. 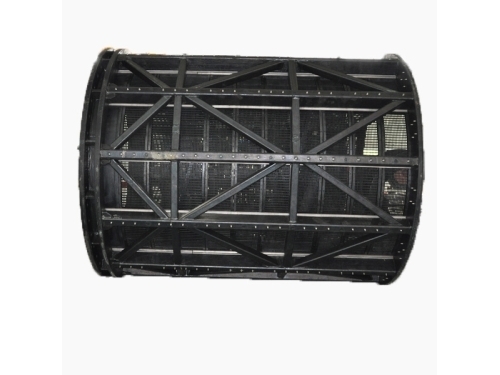 Quality classification trommel screen is made up of metal framework and rubber screen panel. Nowadays, it is suitable for autogenous mill and ball mill in various metal mine mineral processing system. 1.It is durable and its service life can be ten to twenty four months. The screen panel and guide plate are made of wear resistant materails. 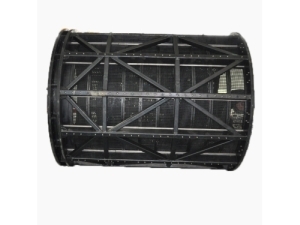 2.Quality classification trommel screen has features of simple structure, high screening efficiency and corrosion resistance. 3.The screen adopts mosaic installation method which needs no bolts, thus convenient to install and dismantle. 4.Mill rotary screen needs no configuration of drive device or power supply. 1.Mill rotary screen is expected to be packed in iron cases. 2.Ocean shipping and land transportation are both available. 1.L/C and T/T are accepted types of payment. 2.Mill rotary screen should be delivered within 30 to 60 days after receiving down payment. Field installation and maintenance will be offered on the condition that purchase orders of quality classfication trommel screen reach a certain amount. As an experienced manufacuter of mill rotary screen, Jiangxi Naipu Company also makes slurry pumps and other spare parts. The company exports products to Russia, Australia, Brazil, South Africa, Mongolia, Liberia, etc. All products are certified by ISO9001 and ISO14000. Naipu also pays attention to cutomer services wihch include customization, technical training and installation, to name a few.